Nottingham Forest and Birmingham City meet at The City Ground, in a match for the 35th round of the Championship. Birmingham City got a home win by (1‑0), in the last league head‑to‑head, played in 18‑11‑2017. The head‑to‑head history at this stadium, favours the home team, since in the last 4 head‑to‑heads they won 2, tied 1 and lost 1. Accordingly, in the last head‑to‑head played at this stadium, for the Championship, on 14‑10‑2016, Nottingham Forest won by (3‑1). 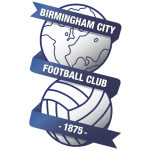 E. Lichaj (33' ), A. Vellios (63' ) and Hildeberto Pereira (83' ) scored for Nottingham Forest and L. Jutkiewicz (71' ) for Birmingham City. Both teams register significant differences between home and away results, so the home/away factor is worth atention. After 12 wins, 4 draws and 18 losses, the home team is in the 15th position, havinf won 40 points so far. In the last match, they have won in an away match against Queens Park Rangers by (2‑5), after in the previous match they have tied (1‑1) at home, against Reading. This is a team that is often stronger at home, with the help of its supporters, so they usually make good use of the home advantage, since in the last 30 matches they register 3 wins, 3 draws and 9 losses in away matches; against 6 wins, 1 draw and 8 losses at their stadium. 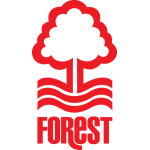 For the league, Nottingham Forest won 10 points out of 30 possible points, after 3 wins, 1 draw and 6 losses in the last 10 home matches. They haven't been very strong defensively, since they have suffered goals in 7 of the last 10 matches, and their offense needs to do better, since they haven’t scored goals in 7 of the last 10 matches for this competition. They have conceded the first goal in 21 of their 34 matches for this competition, and have only turned the score around in 2. Confirmed Lineup: C. Pantilimon, Tobias Figueiredo, T. Darikwa, D. Fox, B. Osborn, M. Cash, J. Colback, B. Watson, B. Brereton, L. Tomlin, J. Lolley. The away team is currently in the 22th position of the league, with 30 points won, after 8 wins, 6 draws and 20 losses. In the penultimate match, they lost in an away match against Brentford, by (5‑0). In the last match, they lost in a home match against Barnsley, by (0‑2). This is a team that usually makes good use of the home advantage, stronger with the help of its supporters, since in the last 30 matches they register 2 wins, 5 draws and 8 losses in away matches, with 11 goals scored and 28 conceded; against 6 wins, 2 draws and 7 losses at their stadium, with 10 goals scored and 15 conceded. In the last 10 away league matches Birmingham City has a record of 2 wins, 3 draws and 5 losses, so they have won 9 points out of 30 possible. Defensive consistency hasn’t been their best feature, as they have conceded goals in 8 of the last 10 matches for this competition. In 34 matches for this competition, they have conceded the first goal 20 times and have only turned the score around in 1. In the last 17 away matches for this competition there is 1 period that stands out: they have scored 4 of their 11 goals between minutes (16'‑30'). Confirmed Lineup: D. Stockdale, M. Morrison, C. Jenkinson, H. Dean, M. Colin, C. Gardner, J. Maghoma, Che Adams, M. Kieftenbeld, J. Lowe, S. Gallagher.